If you make your own wine, chances are you'll want to bottle it with some personalized wine labels as well. Thankfully, there are several good wine label software programs available that are also free of charge, and there are other ways to make labels on your own. Some wine label software versions are completely free; download the program to your computer and get started. Others are only trial versions. Trial versions allow you to download the program (usually not the full program) for a short period of time. After the trial period has expired, you are given the option to purchase the full program. Here is a list of wine label programs that are completely free; no trial versions and no purchase necessary. Download the program and you are ready to begin creating your own wine labels. Labelxp - This free label making download is compatible with all versions of Windows operating systems. Paper Label Maker - This free label making program can be used to create a number of different labels. Free Label Maker - This program allows you to customize any type of label, including wine. SmartCode Studio Community Edition - There are a few requirements for using this software; the most significant is that you must have at least a Pentium 4 processor. Easy Thumbnails - This program allows you to manipulate thumbnail pictures that can easily be made into personalized wine labels. Shareware is software that can be downloaded on a trial basis. Most trial versions contain part of the entire program, while a few let you try out the complete program before you decide to purchase it. Most programs do not denote the length of the trial period until it is downloaded to your computer. Gliftic - This trial version allows you to create and print your wine labels. Stony Creek Press Label Maker - The software includes a 30-day trial. Wine Organizer - This program allows you to organize your wine collection and make labels. Recipe Organizer - The program includes a label making wizard that you can use to custom make your wine labels. Wine Organizer Deluxe - You can organize your wine cellar and create custom labels using this program. Use clipart - There are many clipart pictures that can be downloaded for free. Add a text box and your label is complete. Use your own pictures - Just add a text box and you have your own custom wine label. Make sure your computer meets all system requirements. Some software has certain disk space and processor speed requirements. Check to see if your operating system is compatible. Just about every operating system is compatible, unless you have a really old version of Windows. Don't give credit card information. Reputable software manufacturers do not require you to give your credit card information in order to download a trial version. The software simply stops working after the trial has expired. 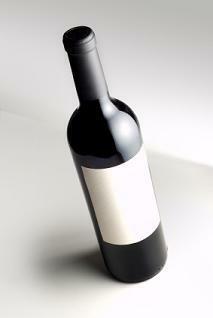 Check your printer; the quality of the printed wine label is only as good as your printer. Downloading free and trial versions of wine label software is a great way to explore different programs before making a purchase. Keep in mind that most trial versions only include partial features of the full program, and most free programs are not going to have as many features as even the partial trial programs. So, take the programs for a test drive and find which ones you love and then buy the full program. Keep an eye on the price of these programs though, some can have a high price tag.